Lt. Dan Kloss and Chief Ron Tischer at the SPSC graduation. 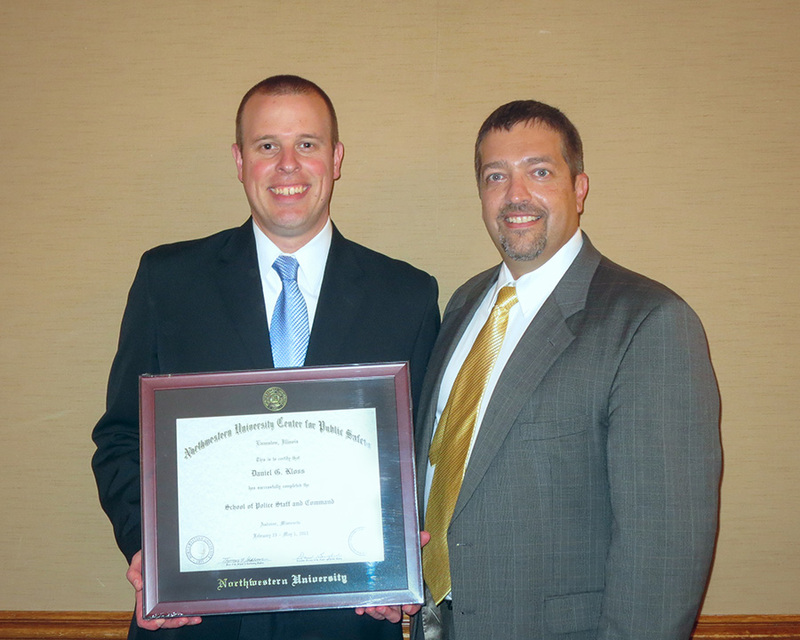 The La Crosse Police Department is proud to announce that Lieutenant Daniel Kloss recently graduated from the Northwestern University School of Police Staff and Command (SPSC) held in Minneapolis, Minnesota. SPSC is a ten-week, intensive and dynamic police management program intended for mid- and upper-level supervisory personnel. It is designed to prepare today’s progressive public safety managers for senior command positions. Since the program launched in 1983, the SPSC has received enthusiastic response from executives and participants throughout the country. Students who complete the SPSC are better prepared to deliver services more effectively and efficiently, mitigate legal exposure, and think globally, rather than remain task-oriented. Lt. Kloss now joins Assistant Chief Robert Abraham, Captain Jason Melby, and Lieutenant Joe Smith as SPSC Alumni within the La Crosse Police Department. Congratulations on this great achievement, Lt. Kloss!